Sunday Sevens is a weekly blog series showing seven(ish) photos of your week outside the blog. Anyone can join in at any time. 1. 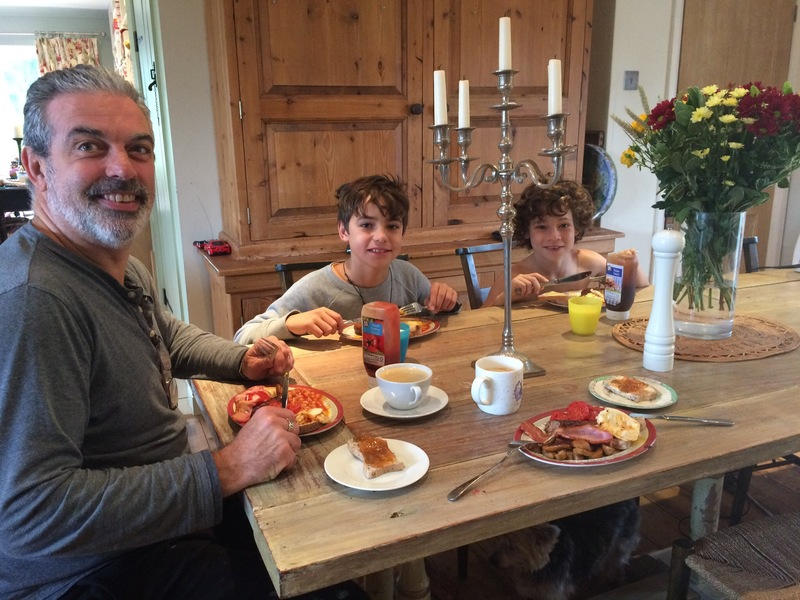 Half term started well, with lazy mornings allowing plenty of time for a leisurely cooked breakfast every day. 2. My mother and sister came to visit for a couple of days, one of which was spent doing art and craft type things. 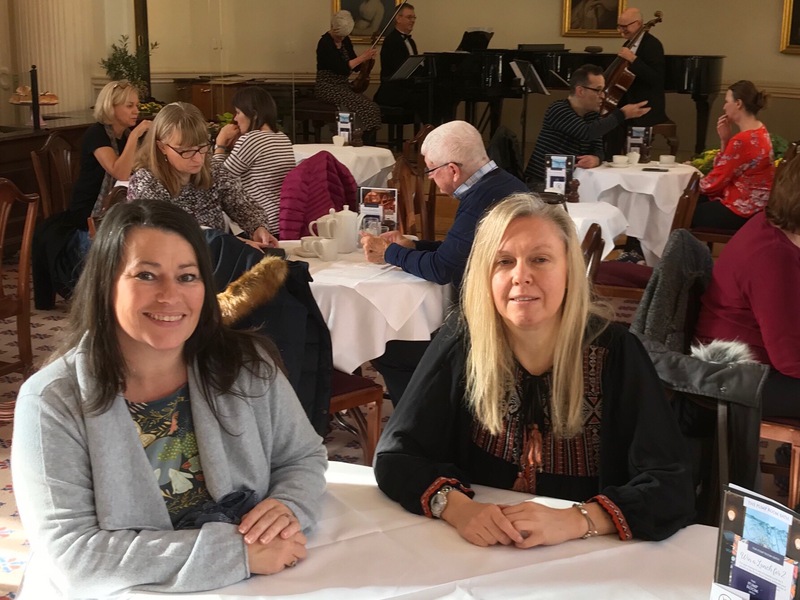 We visited Ilminster Arts Centre and enjoyed a couple of hours at the current exhibition, together with tea and cake in the café and some time browsing in the shop. 3. 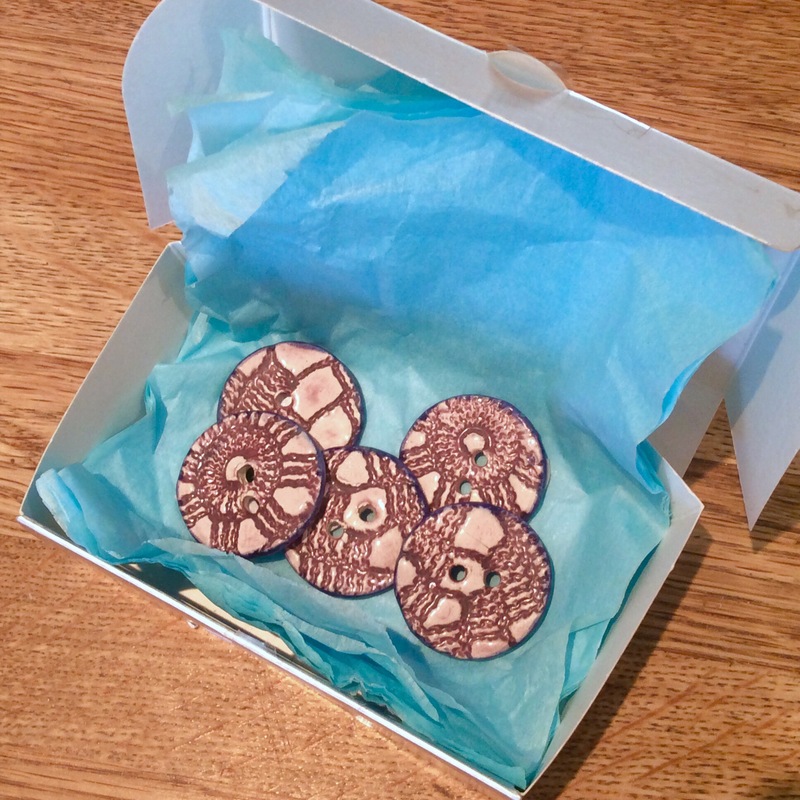 I gave in to temptation and bought some handmade ceramic buttons. I don’t have a plan for them as yet, but they’re sure to be the perfect finishing touch to a future make. 4. 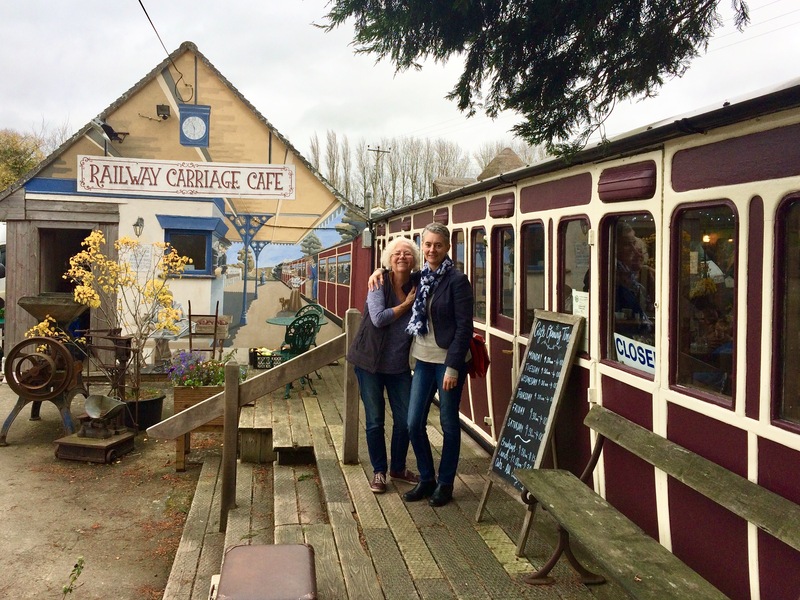 On the way back home we made a short detour so we could try this Railway Carriage Café, as recommended by a friend a while back. 5. It was lovely inside, full of original character and a great choice of gluten free options on the menu. 6. 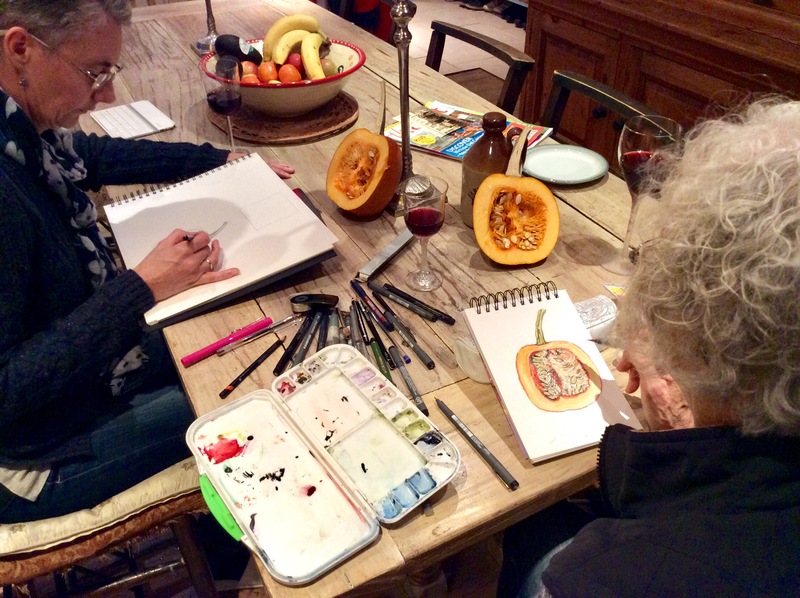 Later that evening, my mum and sister both got their sketching pencils and paints out and had fun with a squash. 7. 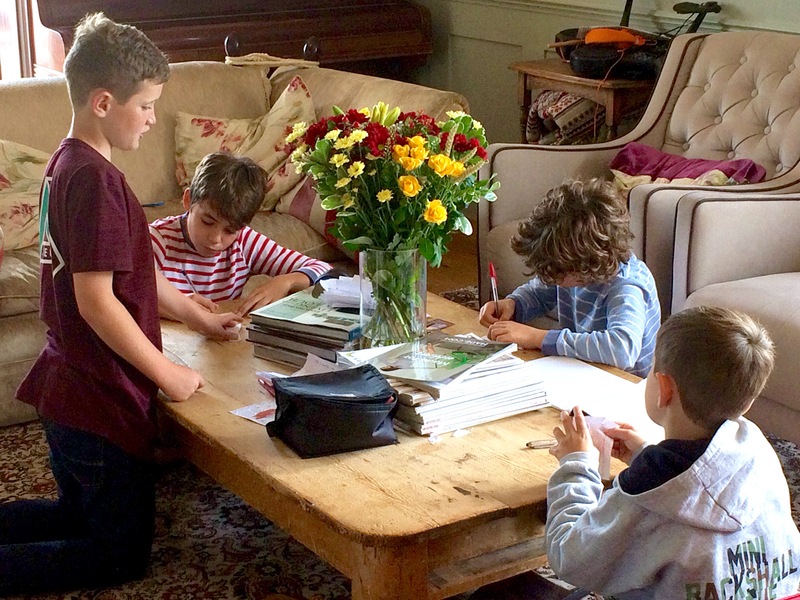 Next day, The Boys had two brothers around to play for the day whilst their mother went to work. No technology allowed (my rules!) so they were all worn out by the end of the day with ‘real’ playing. 8. 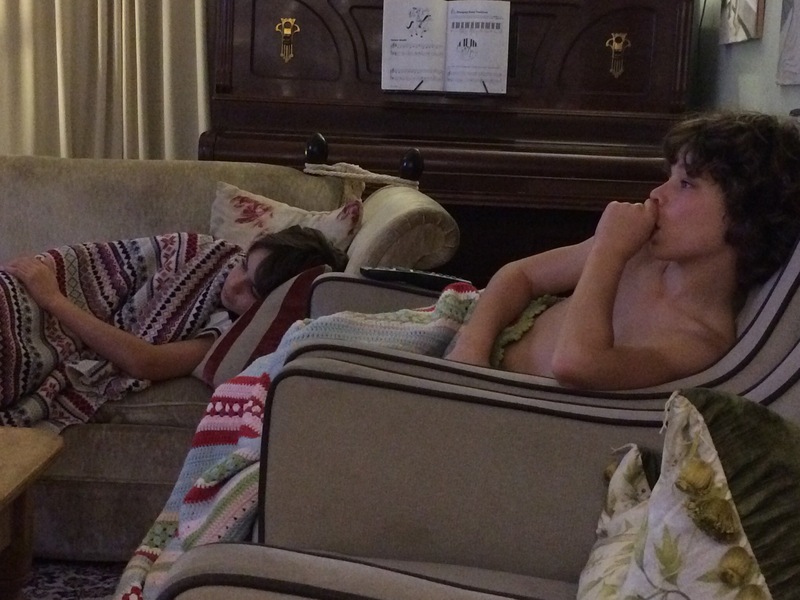 To wind down after their friends had gone, I let The Boys watch a film. They loved it and were totally engrossed, as you can see from this photo. The film? 9. 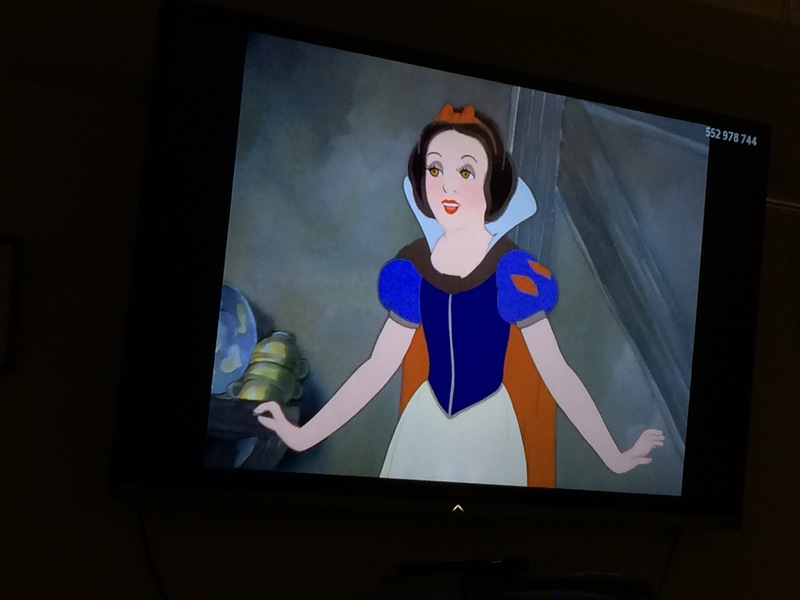 Snow White, the original animation from 1937! 10. 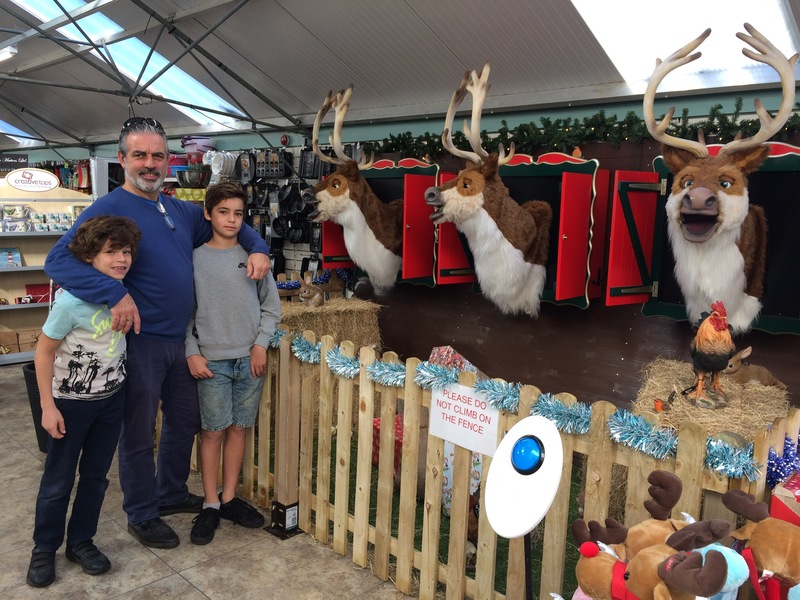 Christmas has taken over our local garden centre and the singing reindeer were back for a second year. 11. A family friend came to stay for the weekend and we went to Bath for the day, starting off with breakfast. You can just see the trio in the background who played some wonderful classical music whilst we ate. 12. A few hours later and we stopped to eat again, this time at Yo! 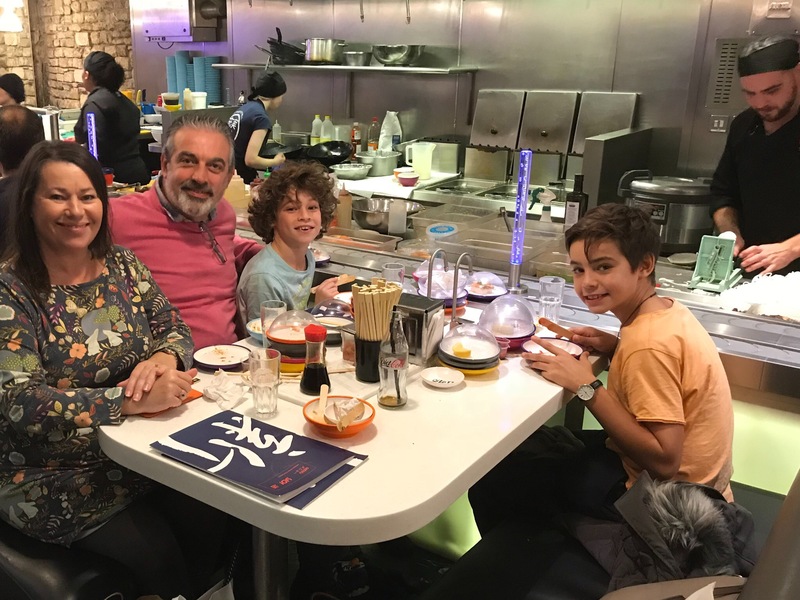 Sushi, The Boy’s favourite treat. 13. Crafty things still happened over the course of the week. Progress is good on my Eastern Jewels blanket. 14. I’ve included my new labels on a couple of things I’ve made for this year’s Stitching Santa parcel. 15. 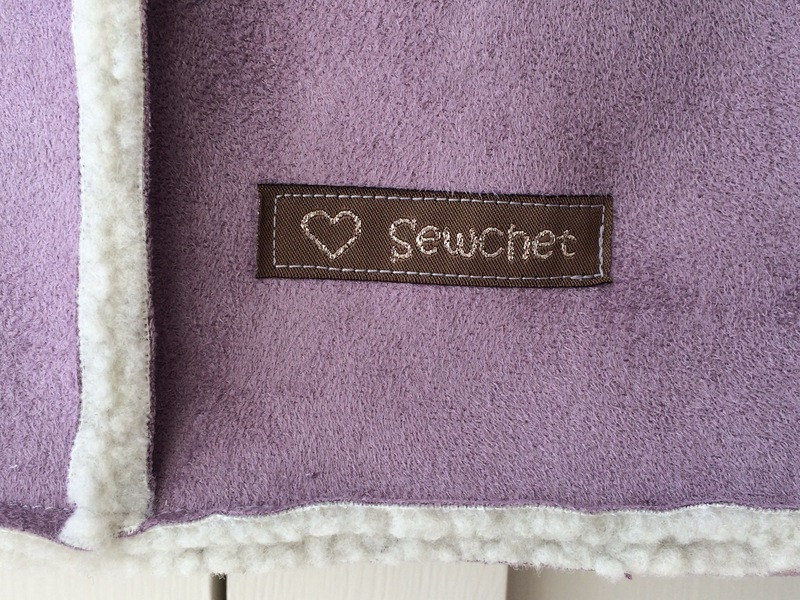 Yes, yet more made from the leftover lilac faux sheepskin – it’s the fabric that just keeps giving! I will reveal all in a future blog post. Categories: Sunday Sevens | Tags: #stitchingsanta, crochet, gift, handmade, present, sevens, sewing, sunday | Permalink. Another lovely week. I really like the candle stick on the breakfast table next to a ketchup bottle! How great is that the boys loved the original Snow White, to my mind the proper one. Enjoy the rest of half term. I suppose it does look a little incongruous but we’re so used to the candelabras that we don’t really notice them. Maybe I should decant the ketchup into something a bit posher! I hadn’t realised that The Boys had never seen Snow White. It was the first film I ever saw at the cinema and a classic, obviously, that the Boys loved, even at their age. The jeweled blanket is lovely. Your mum looks like a very proficient artist too! Thank you, I’m over halfway now and, as I’m crocheting it together as I go, I’ll finish it quicker. Both my mum and my sister are great artists – my sister teaches art, as well. I didn’t inherit that gene, unfortunately. Thank you, I’m on the home straight now! Enjoy your week, too. 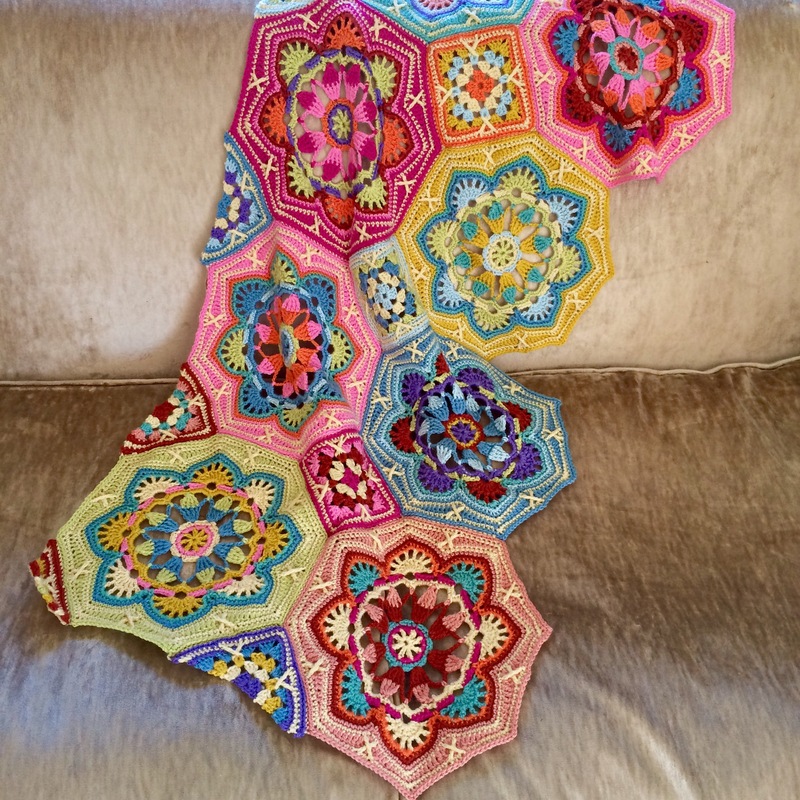 That crochet blanket is just stunning! Such beautiful colours. 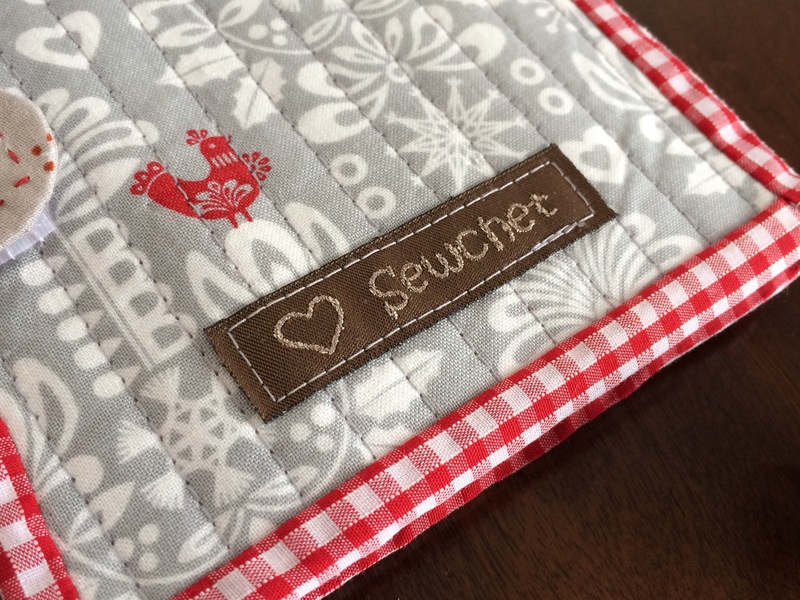 Keep the teaser photos for the stitching Santa coming – I’m starting to get excited about it now! Love the “no technology” rule! I’ll have to implement that as my grands grow and visit. Your labels are awesome! That blanket looks great, I love the pattern but it has way too many colours in it for me. I would love to see a muted toned version of it too. Thanks Pippa (or is it Nikki?!) I need to make a muted blanket for a friend’s wedding and I will struggle with that as much as you struggle with colour! Yeah I thought that that blanket would fit in very well with your lifestyle. It’s not that I don’t do colour, I just don’t do so many at once. I live the blue and white Moroccan style tiles and wonder if this pattern would translate to something like that in a more limited pallet. What colour scheme are you going for for the blanket? Funnily enough, the original colour way is called Persian Tiles and is the typical blue and orange of Morocco! Probably beige or grey as her house is limited to these colours. Such a lovely leisurely week. I do enjoy a slow morning. The Railway Carraige looks like a very nice place to visit. 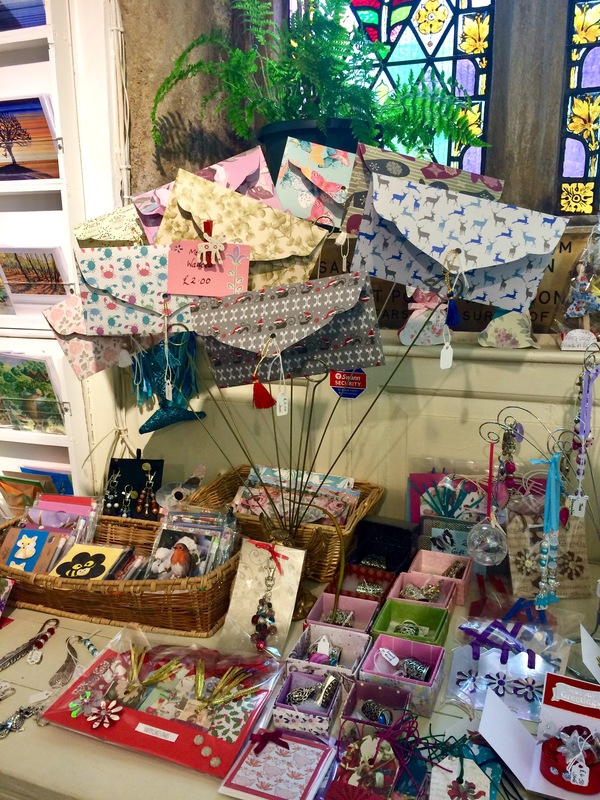 I love the shop you visited, I can see so many pretty goodies. Good choice on the buttons, you never know when you need one or two. Aw, thank you, that’s such a nice thing to say! Fab half term. 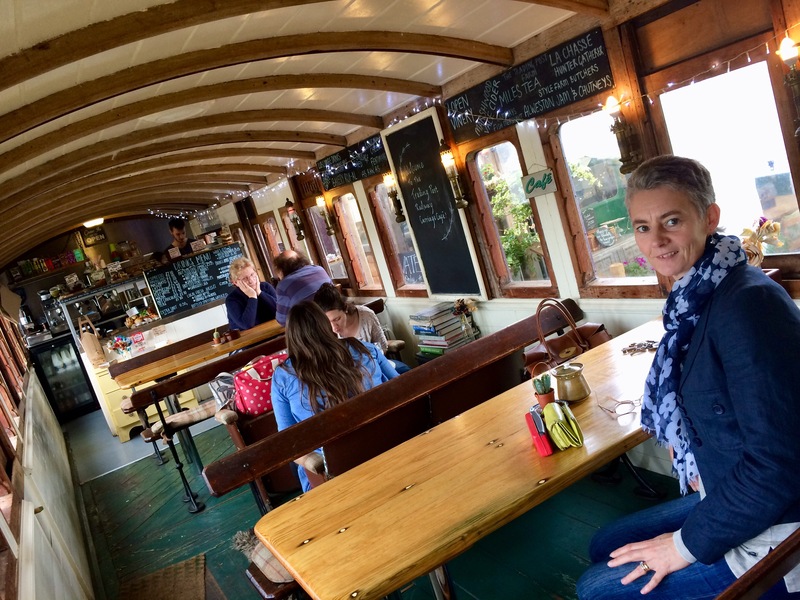 Love the cafe in the carriage. Your blanket’s looking fab. Your secret Santa gifts are building up. Can’t wait to get my secret Santa name and start stalking. Lots going on at the moment, that’s for sure, but I’m still excited about the Stitching Santa. Glutton for punishment, obviously! You are obviously an artist as well, enjoying colour etc, just in textiles. Your blanket is lovely. What great fun you had over the half term.